Malcolm X was born Malcolm Little (1925–1965) in Omaha, Nebraska. His mother, Louise Norton Little, was a homemaker occupied with the family’s eight children. His father, Earl Little, was an outspoken Baptist minister and avid supporter of Black Nationalist leader Marcus Garvey. Earl’s civil rights activism prompted death threats from the white supremacist organization Black Legion, forcing the family to relocate twice before Malcolm’s fourth birthday. Regardless of the Little’s efforts to elude the Legion, in 1929, their Lansing, Michigan home was burned to the ground. Two years later, Earl’s body was found lying across the town’s trolley tracks. Police ruled both incidents as accidents, but the Littles were certain that members of the Black Legion were responsible. Louise suffered emotional breakdown several years after the death of her husband and was committed to a mental institution, while her children were split up among various foster homes and orphanages. Eventually, Malcolm and his long-time friend, Malcolm ‘Shorty’ Jarvis, moved back to Boston. In 1946, they were arrested and convicted on burglary charges, and Malcolm was sentenced to 10 years in prison, although he was granted parole after serving seven years. Recalling his days in school, he used the time to further his education. It was during this period of self-enlightenment that Malcolm’s brother Reginald would visit and discuss his recent conversion to the Muslim religion. Reginald belonged to the religious organization the Nation of Islam (NOI). Intrigued, Malcolm began to study the teachings of NOI leader Elijah Muhammad. Muhammad taught that white society actively worked to keep African-Americans from empowering themselves and achieving political, economic, and social success. Among other goals, the NOI fought for a state of their own, separate from one inhabited by white people. By the time he was paroled in 1952, Malcolm was a devoted follower with the new surname ‘X’, he considered ‘Little’ a slave name and chose the ‘X’ to signify his lost tribal name. Intelligent and articulate, Malcolm was appointed as a minister and national spokesman for the Nation of Islam. His charisma, drive, and conviction attracted an astounding number of new members. Malcolm was largely credited with increasing membership in the NOI from 500 in 1952 to 30,000 in 1963. Malcolm’s faith was dealt a crushing blow at the height of the civil rights movement in 1963. He learned that his mentor and leader, Elijah Muhammad, was secretly having relations with as many as six women within the Nation of Islam organization. As if that were not enough, Malcolm found out that some of these relationships had resulted in children. Since joining the NOI, Malcolm had strictly adhered to the teachings of Muhammad, which included remaining celibate until his marriage to Betty Shabazz in 1958. He was deeply hurt by Muhammad’s actions, because he had previously considered him a living prophet. In March 1964, Malcolm terminated his relationship with the NOI. Unable to look past Muhammad’s deception, Malcolm decided to found his own religious organization, the Muslim Mosque, Inc.
After Malcolm resigned his position in the Nation of Islam and renounced Elijah Muhammad, relations between the two had become increasingly volatile. 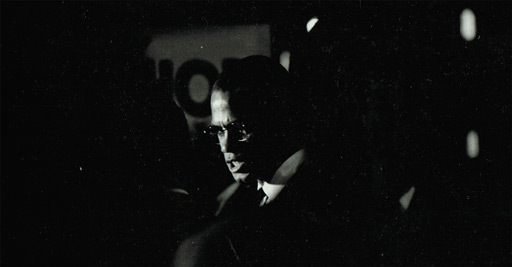 FBI informants working undercover in the NOI warned officials that Malcolm had been marked for assassination–one undercover officer had even been ordered to help plant a bomb in Malcolm’s car. After repeated attempts on his life, Malcolm rarely traveled anywhere without bodyguards. On February 14, 1965 the home where Malcolm, Betty, and their four daughters lived in East Elmhurst, New York was firebombed. Luckily, the family escaped physical injury. One week later, however, Malcolm’s enemies were successful in their ruthless attempt. At a speaking engagement in the Manhattan’s Audubon Ballroom on February 21, 1965, three gunmen rushed Malcolm onstage. They shot him 15 times at close range. The 39-year-old was pronounced dead on arrival at New York’s Columbia Presbyterian Hospital.